Interested in IRIS? 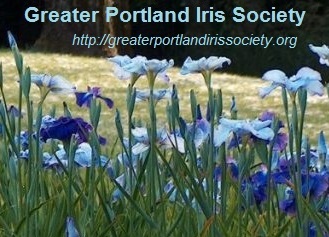 Then you’ll want to check out the “Greater Portland Iris Society”! February 2 Noon, Luncheon/Judge’s Training “Novelty Irises” by Bonnie Nichols. March 5 General Meeting: “Days in the life of Schreiner’s Gardens” by Steve Schreiner. April 2 General Meeting: “Prep for Plant Sales” by John Ludi; “Weapons of war on pests, diseases, and weeds” by Terry Aitken. April 20-21 GPIS Spring Plant Sale with Hardy Plant Society of Oregon, “Hortlandia”. April 23-27 AIS National Convention, San Ramon, California. May 5 Early Iris Show, Ikebana Displays. Venue: Master Gardener’s Spring Garden Fair,Canby, Oregon May 4-5. May 17-19, 2019 Region 13 Spring Meeting/Garden Tours,Hosted by Greater Portland Iris Society. For more info and details on events, pre-registration and costs, check their website calendar at: greaterportlandirissociety.org/calendar-of-events . Thank you, Chad Harris, Mt. Pleasant Iris, for reminding us about these upcoming events!